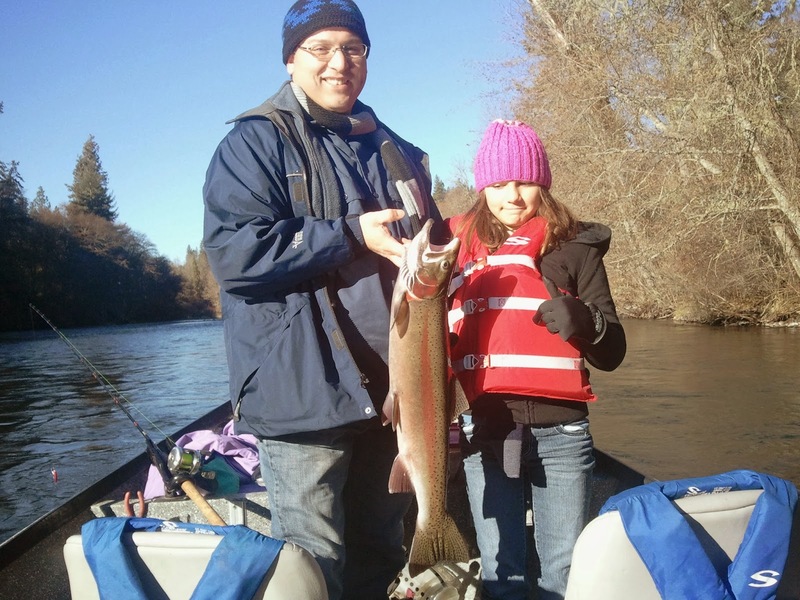 Did a short drift on the upper Rogue with David and Aurora and they took home this beautiful hatchery buck for their smoker. We also hooked a big Coho! My 4 hour trips are great for kids that are trying drift boat fishing for the first time. It's not a good idea take them on a long trip their first time, they may get bored and have a bad experience. The idea is that you want them to like fishing and come back time and time again! More days in the outdoors and less in front of the computer, TV and Phone is a great thing for anyone! If you're thinking of taking your kids or anybody for that matter out on the river to fish be sure to do it with a licensed and insured guide like myself. Children must have life jackets on all day whether they like it or not! Thanks again for bringing your daughter out David and I hope to see you guys again real soon!